It’s always fun to open a fortune cookie. What’s better than getting glimpse into your future and then being able to eat a cookie immediately after? Even though you’re aware that the fortune is not true or accurate, it is still fun to read and pretend. 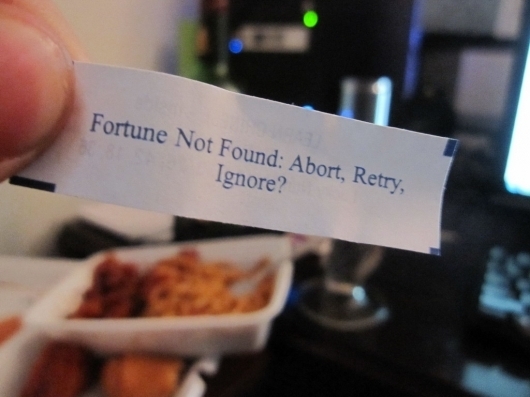 Unfortunately, not all cookies contain fortunes. Some have gotten lazy and provide you with nothing but a piece of paper detailing their errors. On the bright side, you still get a cookie. Check out these 12 lazy fortune cookies and let us know which one you think is the best/laziest in the comments section below.